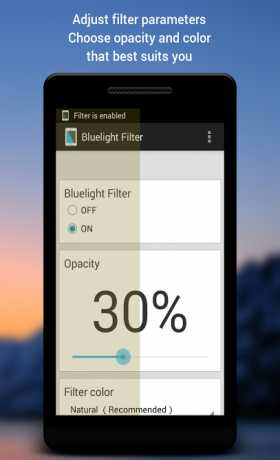 Bluelight Filter is an app to apply a color filter over the screen of your Android device, so you don’t make your eyes so tired by using it. This is a paid version license key for “Bluelight filter for eye care”. If you want to hide ads and the title on your filter completely, please purchase this. Blue light from your smartphone or tablet causes your eyestrain and your troubles fall asleep. This app adjusts your screen color to reduce the blue light and reduce your eye strain and troubles to sleep. You can reduce your eye strain easily. Only you have to do is to launch this app once. 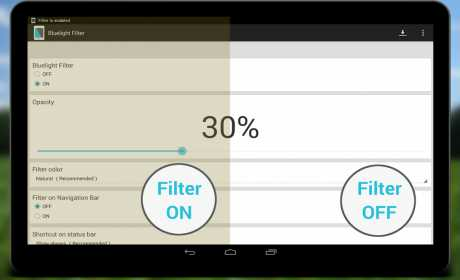 This app’s filter has natural color. So you can read news, email, websites clearly. Because this app doesn’t dim the screen. 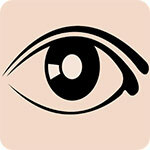 This app adjusts the screen color to reduce blue light which causes your eye strain. It’s easy to turn on or off to adjust settings. You can adjust the opacity of the filter using the setting app. You also can choose the color. You can choose to show or hide the filter in the status bar. It’s easy to tweak the settings based on what app I’m in at the time. You can choose whether or not it launches on startup. You can choose one from 5 filter colors. This app works well on lots of smartphones such as Galaxy, HTC ONE Xperia and so on. Of course, it works tablets such as Nexus 7, Nexus 10, ASUS MeMO Pad, Acer ICONIA and more! Battery life is long because this app doesn’t handle it except when you set up the filter. The app adjusts the color temperature only, so this needs little memory. * When you install the app from the third party app store such as Amazon App Store, you can no longer press the Install button on the specification of Android when blue light filter is enabled. Then, tap this app in the notification area to disable the filter. * When you take the screen capture (screenshot), the filter also enters the screen capture. When you take a screen shot, turn off the blue light filter. * If you launch the other apps which adjust the screen, the screen turn too dark for you to operate the smartphone or tablet. 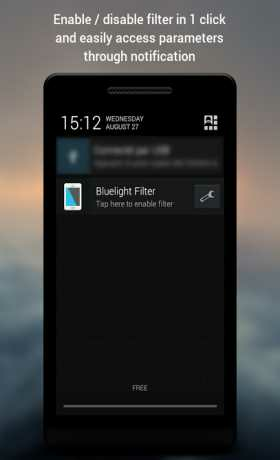 Please uninstall the other screen apps and use this bluelight filter app.